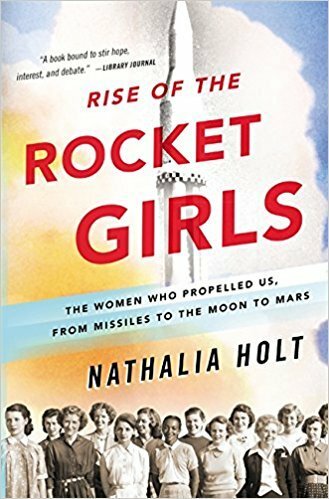 I really liked reading Rocket Girls. Last year, I read Hidden Figures and really liked it. I felt that this book read a little bit easier than Hidden Figures, but it is a similar story. It was fascinating to learn about the amazing women who worked to help send humans to space. I felt this story was very personal and had a good view on how life was for these woman back in their day. I did feel at some points it was occasionally all over the place in time, but that often happens in history books that cover a lot of lives like this one does. I agree with Grace. I really enjoyed this book. It was a little slow at first, but once I got into it I loved it. I have not really read very much on the space industry. I definitely didn’t know that so much of the space industry started in California, so it was fascinating to learn so much about it. The author did a great job of weaving personal stories into a book about science.